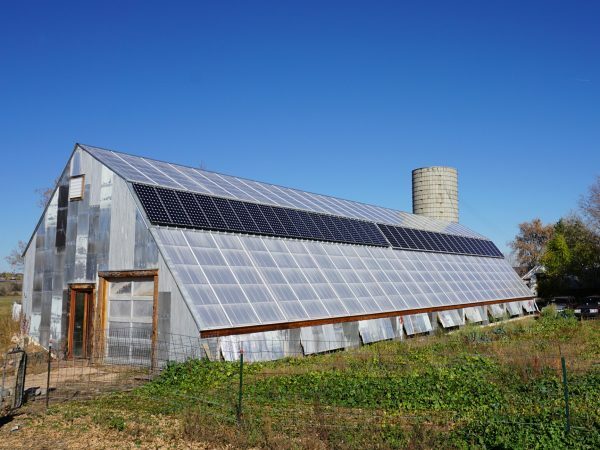 Integrating solar panels with a greenhouse can make it off-grid, but takes careful consideration of your goals and the best strategy for doing so. 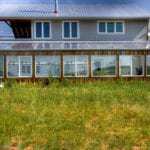 Passive solar design refers to building principles that maximize solar gain and minimize heat loss. 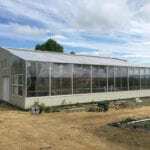 Since the 1970’s, the term ‘solar greenhouse’ has normally been used as shorthand for a greenhouse designed with passive solar design. Solar panels produce electricity to power electric equipment in the greenhouse like fans, pumps or lights, and ‘solar-powered’ conventionally refers to solar PV systems. 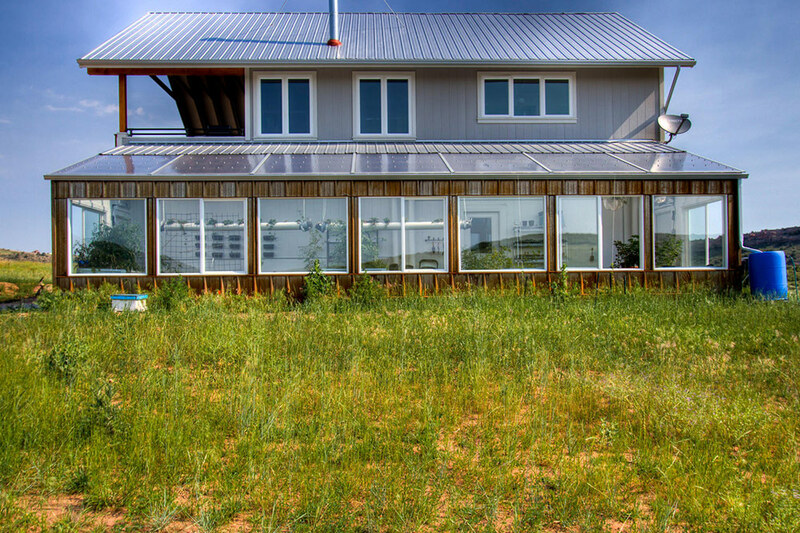 What happens when you combine these two – adding solar panels to a passive solar greenhouse? 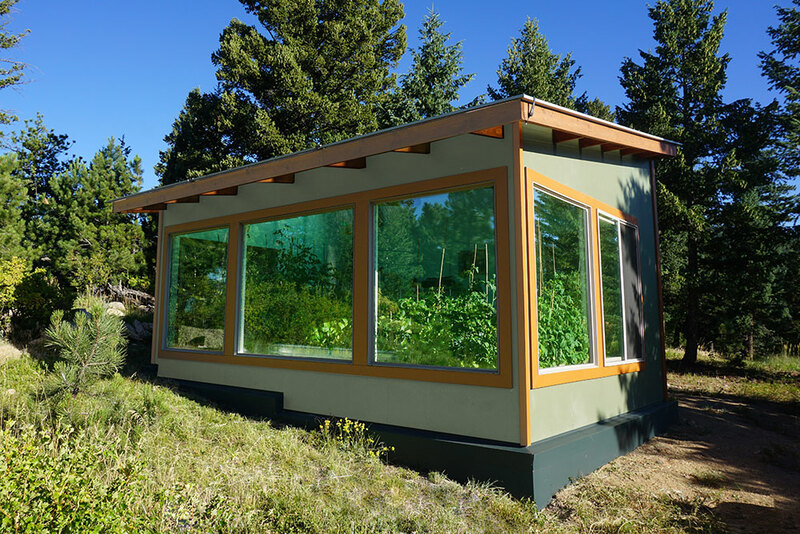 The short answer is you get the most sustainable, energy-efficient greenhouse possible. 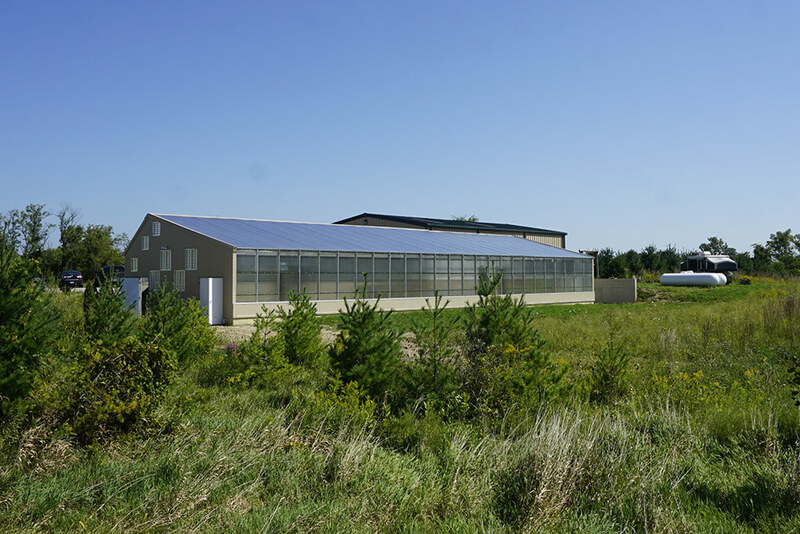 Integrating solar panels allows an energy-efficient greenhouse to be net-zero energy, or possibly off-grid. You can create an abundant source of food that is entirely self-powered and self-heated. 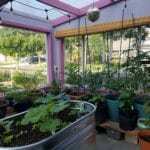 Being independent of the electric grid, and creating an off-grid greenhouse. 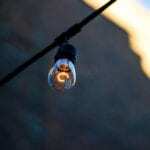 This can stem from a moral drive to be more self-reliant, or a practical drive to avoid the costs of connecting to the grid if there is no grid-tie available at your site. There is no wrong reason to invest in solar power, but it is crucial to understand your motivations for doing so, as this will greatly influence the best system type, whether grid-tied, or an off-grid with battery back-up system. 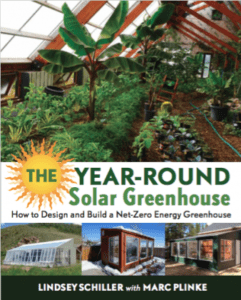 For more on the the pros / cons of different system types see our book, The Year-Round Solar Greenhouse, and stay tuned for future blogs. 2. 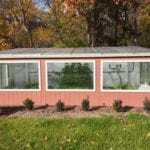 Evaluate the Best Site: Your Greenhouse or Your Home? 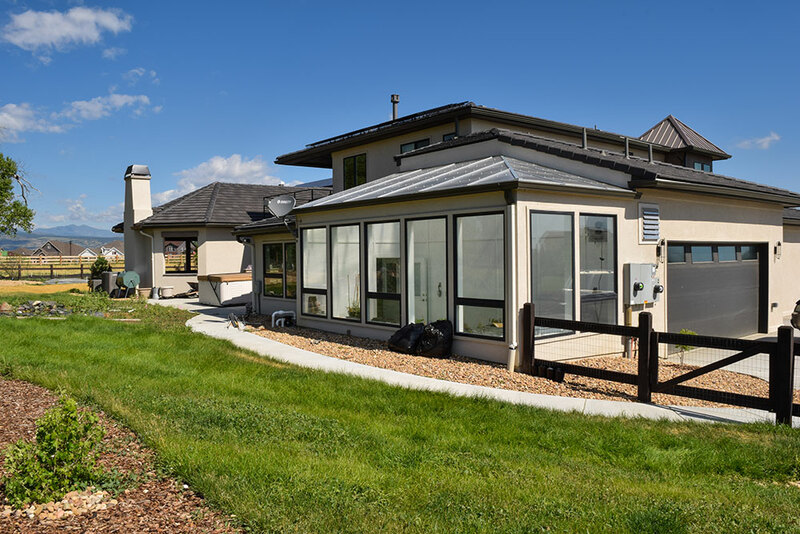 There is usually more room on the home’s roof, enabling you to install a larger system that powers both the home and greenhouse. This is usually more cost-effective as well, allowing you to get more power generation out of your investment. 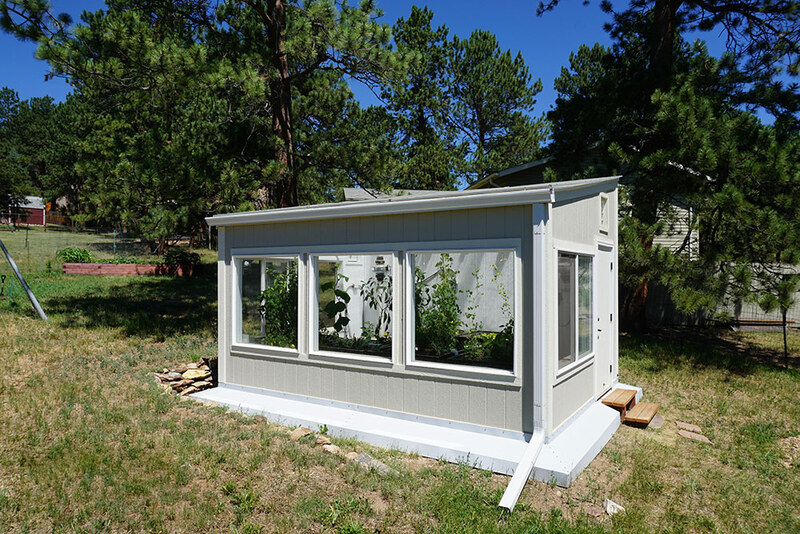 The greenhouse will be wired to your home and will then inherently be solar-powered as well. 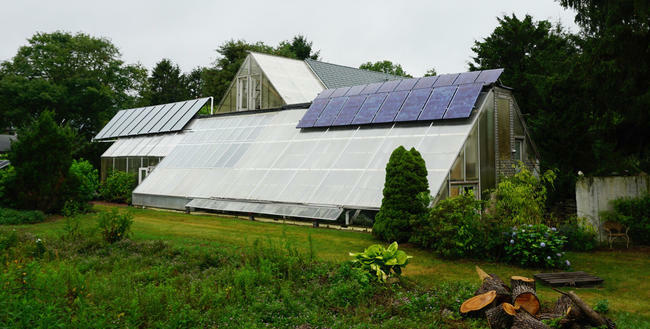 Putting solar panels on the greenhouse roof can block light needed for growing or heating. 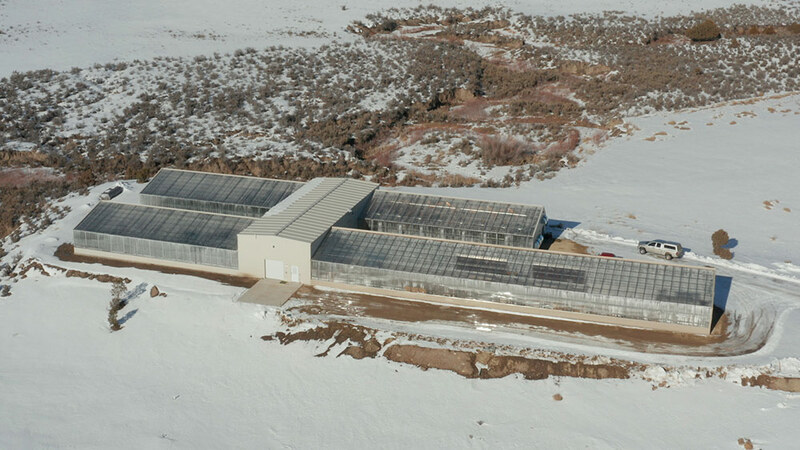 If a greenhouse is large enough, like the 7,000 sq. 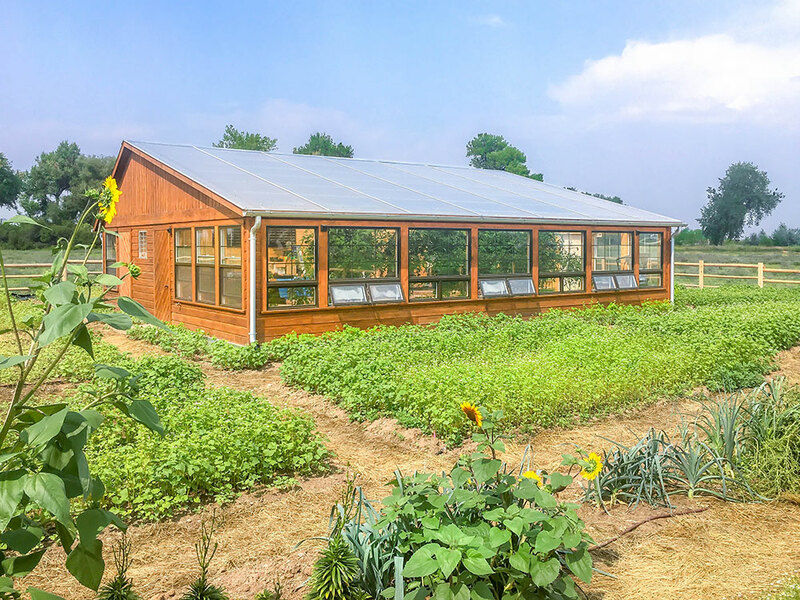 ft. greenhouse at The Golden Hoof Farm pictured below, there can be enough roof space to accommodate solar panels. 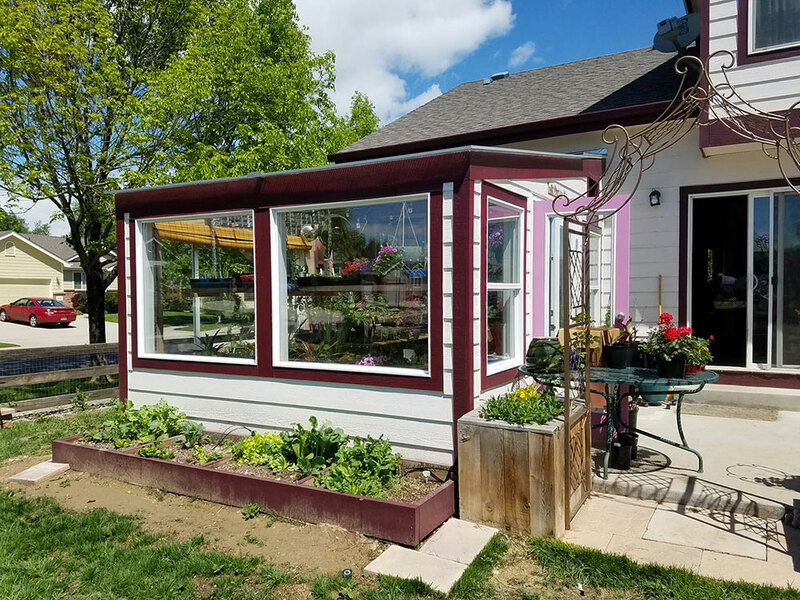 Smaller residential greenhouses will want to consider utilizing their home’s roof or a ground-mounted system. 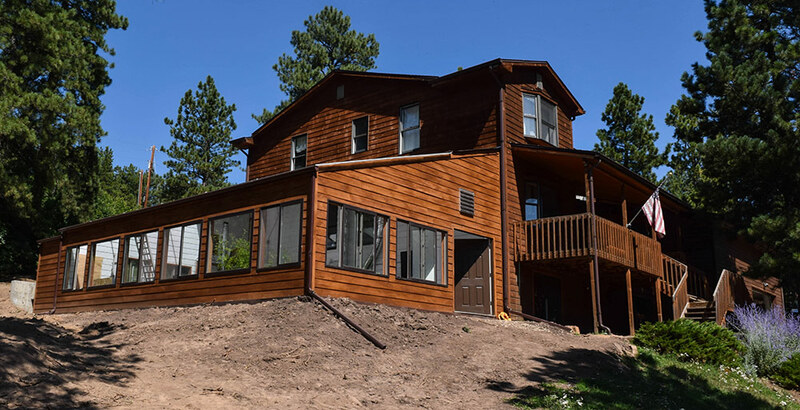 If you want to finance the solar panels (instead of purchasing outright), generally a conventional home system is easier to finance with loans or leasing programs. This is one of the make or break questions for investing in a greenhouse PV system : what is the total electric demand (also called the electric load) of all equipment in the greenhouse when running? This varies hugely by greenhouse depending how you plan to grow. 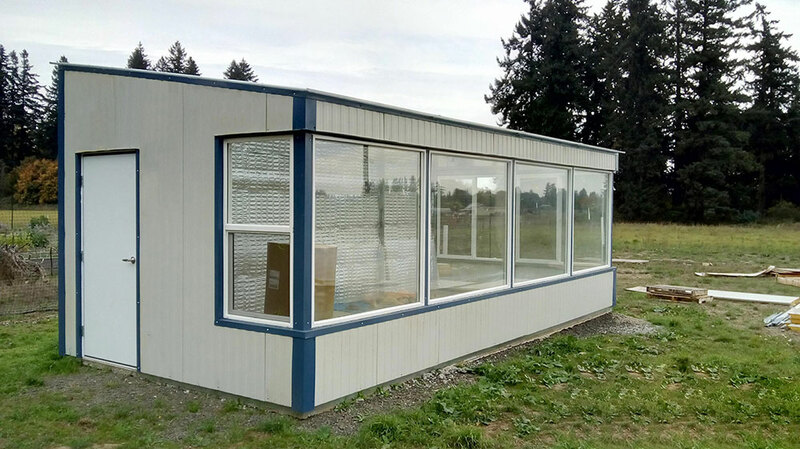 For example, a small residential greenhouse may have only one exhaust fan. This small electric load can be powered by a small solar PV system, possibly even one that runs on direct current. 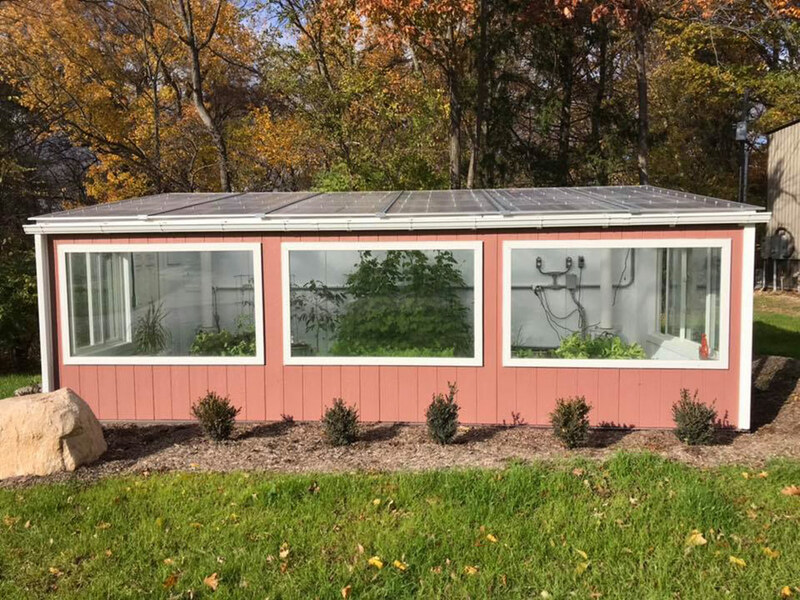 That avoids the cost of an inverter (which converts DC to AC power) and can keep the total cost of the system quite low.On the other end of the spectrum, a large aquaponics greenhouse will have aerators, water heaters, water pumps, and possibly space heaters or cooling equipment. 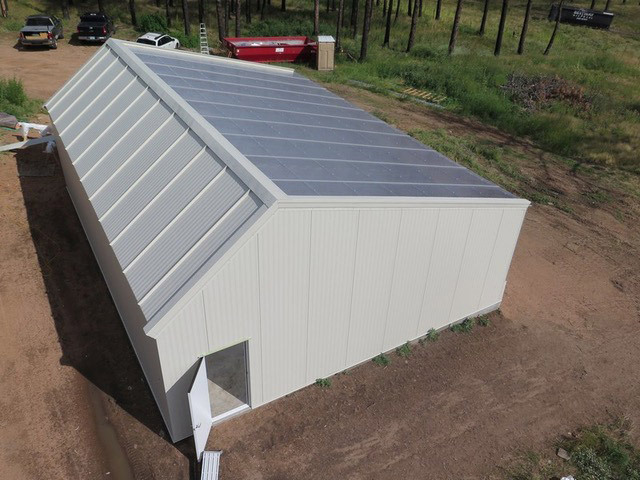 Multiple systems create a sizable electric load and necessitates a much larger solar PV system that is drastically more expensive.You can find the power demand of your greenhouse by adding up the wattage of all electric components you plan on using. For example, the power usage of a fan should be provided in Watts under the product specifications. Once you know the total electric load, you can talk to a solar PV installer, or begin to size your PV system and get an idea of costs. 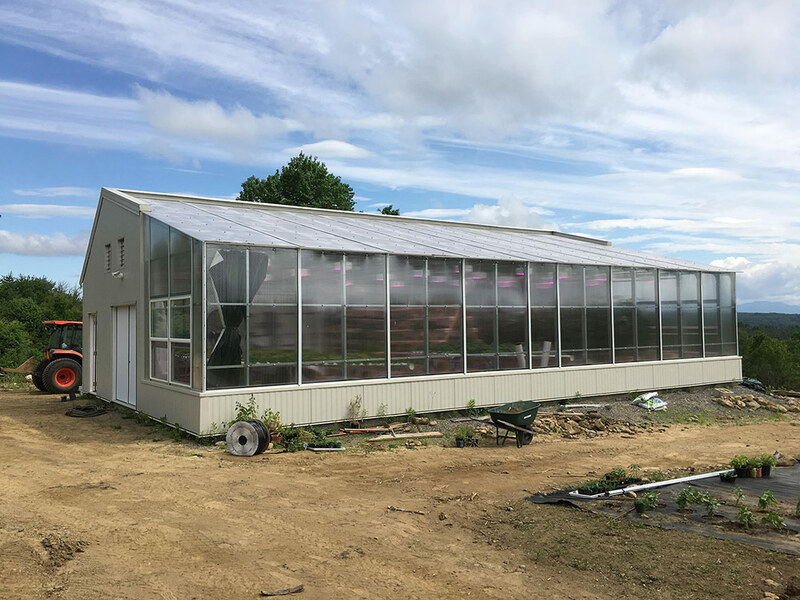 We provide a step-by-step guide for sizing a greenhouse PV system in our book, The Year-Round Solar Greenhouse. Online calculators are also available, like PV Watts provided by NREL. NOTE: The total electric load only tells you the demand. There are subsequent steps to determine the system size required to supply that demand. This is influenced by factors like the amount of sunshine at your location, and the system orientation. Sizing a PV system requires calculators to get a general estimate, or talking to a professional to get an accurate one. 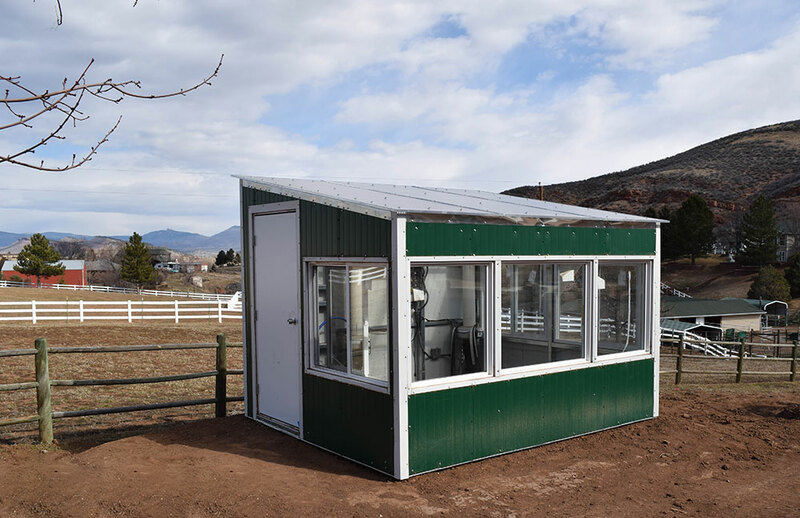 A key strategy whenever you invest in solar power is to first make your greenhouse is as efficient as possible so that you do not have to rely on electrical systems to provide the heating and cooling. If you reduce the electric demand, you reduce the size and thus the cost of your PV system. 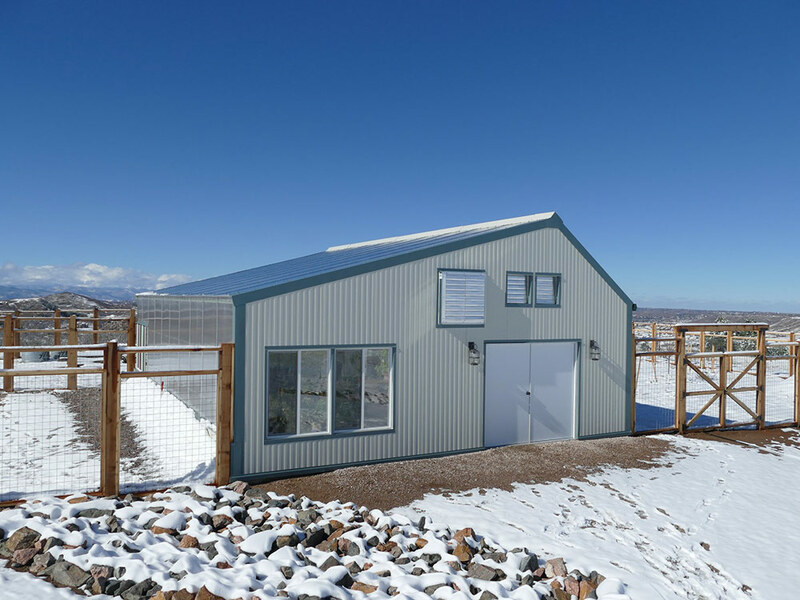 Energy efficiency measures, like using sufficient insulation and designing the greenhouse with passive solar design, are always a better investment than relying on a large PV system to operate your greenhouse.Particularly, you want to do everything possible to avoid relying on electric heaters. Electric space heaters are extremely power intensive pieces of equipment and can make the total electric load of the greenhouse (and thus system cost) skyrocket. 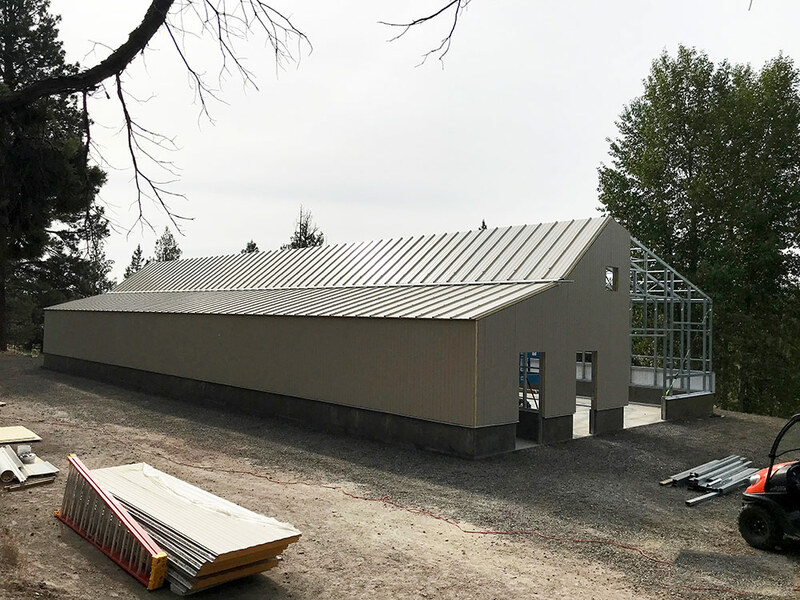 Thus, we always suggest first investing in a thermal storage solution, like a GAHT system or Phase Change Material, which stores the heat of the greenhouse in the soil underground or a material built into the wall. 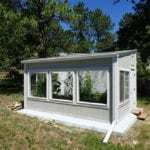 Use the free heat provided by passive solar greenhouse design as much as possible before relying on solar panels!